Since the area’s early days of commerce in the 1500s, the coral reef that surrounds the island was responsible for scores of shipwrecks. It proved to be a pesky obstacle, exacerbated by winds and hurricanes. Spanish galleons traveling to the port in Havana (just 90 miles from Key West) would be pulled toward the reef by winds. Ships would suffer minor damage from the sharp reefs or sink altogether. The Spanish would then hire natives from the Keys, known to be strong divers and swimmers, to retrieve ship cargo. Shipwreck salvaging like this was a free-for-all for centuries, with both Native Americans and Bahamians from the nearby Caribbeans taking part in the action. The wrecking process went like this: When a ship was damaged from the reef, wreckers would race out from the island to lay claim on the sinking vessel. The first to arrive became the wreck master, in charge of divvying up the work (after saving the sinking crew, of course). After bringing the recovered cargo ashore, a judge would hear from both the ship captain and the wreck master to determine how to divide the bounty. Following an island-wide auction – an event that drew folks from around the country – the captains would split the money according to the judge’s orders. Key West became the richest city per capita in the 1850s largely due to shipwrecks. 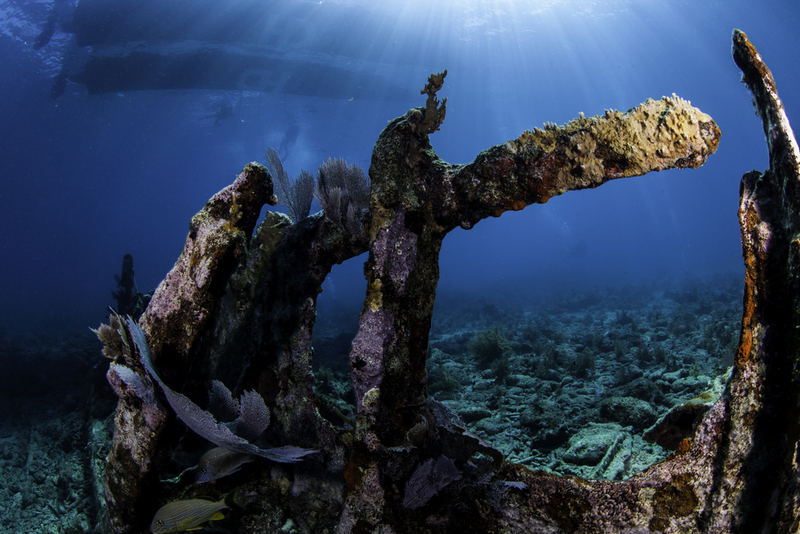 “The whole history of the 19th-century commerce is strewn along our reefs here,” said Corey Malcolm in the PBS documentary, Key West Wreckers. Malcolm is the director of archaeology at the Mel Fisher Heritage Museum in Key West. The high volume of commercial ships crashing into the coral reef brought a wide array of goods to the quaint fishing village. Cotton, tobacco, silver utensils, clothing, locomotives, pianos and other goods would be auctioned off to the highest bidder, filling Key West homes with an odd medley of objects. Wrecking went the way of the dodo after the popularization of large-scale steamships in the 1900s. Systemized routes and the power of steam prevented winds from dragging ships into the path of the Florida Reef, much to the chagrin of locals. Ship salvaging never really disappeared from the fabric of the Florida Keys. Modern-day treasure hunter Mel Fisher spent nearly 20 years searching for the sunken Spanish galleon Atocha that sank in 1622. In 1985, Fisher discovered much of the wreck, pulling in $400 million worth of gold, precious stones, silver, and artifacts. Today, his son continues the hunt for the remainder of the Atocha off the coast of Key West. Visit the Mel Fisher Heritage Museum in Key West to learn all about the modern-day wrecker’s life and view some artifacts of his treasure find. It’s located at 200 Greene St. in Old Town. For more on Key West wrecking history, check out the Shipwreck Treasure Museum in Key West, which delves into the wrecking days on the island. The Shipwreck Treasure Museum is located at 1 Whitehead St. in Old Town.